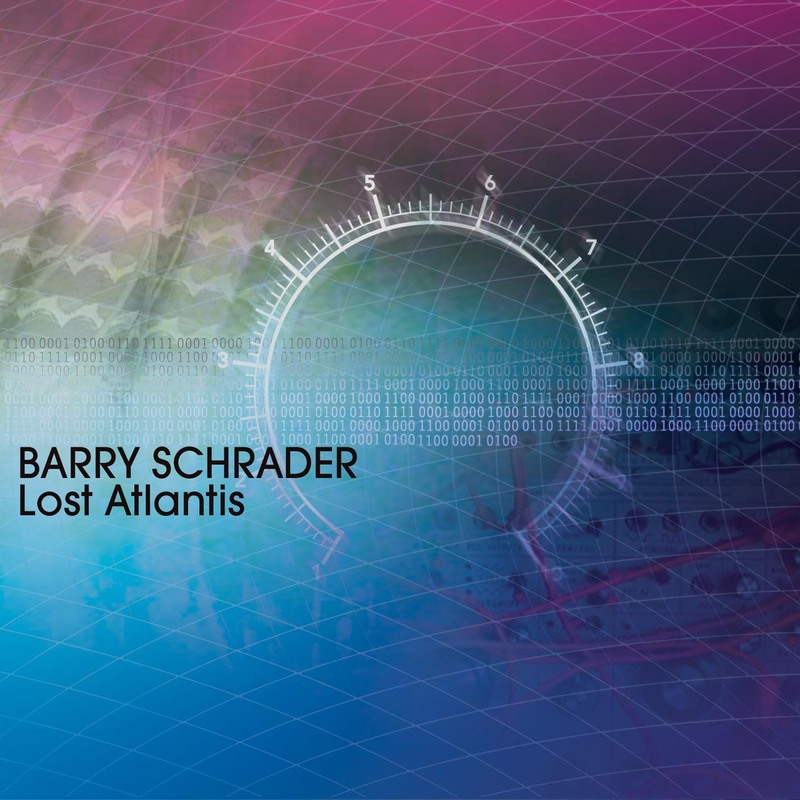 Barry Schrader's Lost Atlantis reveals Schrader as a composer born to the electronic medium. He paints with veiled and mysterious tone colors, creates descending sine-tone scales of exquisite delicacy and spins out dramatic crescendos climaxing in peaks of brassy brilliance. He generates sequenced rhythms with various percussive envelopes: woodlike clacks, hollow drum sounds, giant xylophones and steel drums. Few are the composers who truly mastered Buchla1s innovative instruments and the quadraphonic electroacoustic repertoire has been all but lost, so this CD is a very welcome release, both in terms of music history and listening enjoyment, for these two works remain fascinating, regardless of how they were conceived… The music is imbued with mystery, its reliance on non-melodic material empowering it with an ageless appeal that could as well be ancient. Schrader makes use of a wide palette of tones and textures, and his sense of space and drama create a mysterious place in which the listener is eager to loose himself or herself. Recommended. There is a “gramophone magatzine” quote on Barry Schrader, which might seem a bit odd at first: “Schrader’s electro-acoustic music appeals to both the ear and the mind.” What’s so strange about this is that a critic should mention it – after all, isn’t that what almost every composer sets out to do? In Barry’s case, however, it is definitely worth an exclamation mark, if only for the manyfold prejudices (or sheer ignorance) against the genre he is operating in. And besides, as “Lost Atlantis” proves, every single word of it is true. This is one of the releases, which are not just mere byproducts of market economy, but actually a lot more than their simple packaging suggests. “Lost Atlantis” collects two early works, brings in film music composer/sound engineer and self-proclaimed Schrader-fan Gary Chang for some masterful remastering and adds some highly informartive liner notes in the extensive booklet. As Chang points out, he was there in 1976, when “Trinity” was premiered live at the Vanguard Theater and totally blown away by its combination of pride in its purely electronics nature and yet deeply-rooted connection with the (post-)romantic masters of the past, such as Mahler or Bruckner. For a long time, the only available copy was a tape handed to Chang by Barry himself, which naturally wore out over the years. In the decades which followed, Schrader was as active as ever and it can only be put down to an apparent distaste for self-promotion and marketing mechanisms (which he shares with a few of hgis generational colleagues, such as Richard Lainhart) that it has taken so long for this music to be published. Still today, the caleidoscopically swirling whirlwind, arranged in a rondo form and ceaselessly permutating, tramsforming, mutating and juxtaposing within itself has lost nothing of its immediate appeal. The same goes for the almost fourty minute long, seven-part title track. Here, the nuances of Schrader’s language become even clearer: Romantic, but always slightly opaque visions sway between major and minor, concrete and abstract as well as between sound and structure, rise from silence to frenzied outbursts and pandemonious sequences of lightning-speed tremolos and arpeggios. There is constant flux between the beautiful and the brazen, the delicate and the dirty, the feminine and the muscular and it is this endless interplay which lends a decided dramaturgy and dynamic to his works. Gramophone goes on to write: “[It is] approachable electronic music with a distinctive individual voice to reward the adventurous.” That, too, is true. There is even a sense of overt emotionality, untypical yet highly refreshing for the often pretty scientific electronic scene. To complete the quote from the very beginning: Schrader’s music pleases the ear, the mind and the heart.